Helping Teens, Young Adults, and Parents feel like their best selves again. At Anchor Therapy, our mission as counselors is to help you, or your teen, feel relief from whatever stress you are struggling with now. Stress usually appears when something in your life has changed. This could be a change in your school performance, job performance, relationship problems, etc. Our goal is to be the person you can rely on to help you make it through this difficult time. You will have us every step of the way so that you feel fully supported. When you start to feel better, you will notice other areas of your life improving as well. Feel free to contact us today to set up a free 15-minute consultation to see how we can help! You can take a deep breathe now because you are in the right place. How can a counselor help me? Once you give yourself, or loved one, the gift of seeing a counselor - you will start to notice positive changes. As your psychotherapist, I will help build you up to be the best version of yourself. I will help you create realistic goals and get you to actually reach those goals. You will feel confident and ready to take on anything that comes your way! What is the length of therapy treatment? We are all looking to feel better right away. Coming in for counseling can help you get on that track to feeling better. Each person has a different outcome they want to get from therapy. Since you have your own specific goal, I cannot tell you an exact amount of sessions it will take to reach. In my professional experience, with a Cognitive-Behavioral Therapy (CBT) approach, we will typically spend about 3 months (or 12 sessions) to accomplish your goal. It is possible that after 3 months you will have more goals to accomplish and you want to extend more sessions. I don’t have any set rules in therapy and I am aware things come up in life that add new stress that you may want to address. I not only provide in-person sessions, but I also provide online (telehealth) therapy. Online therapy includes phone sessions and video sessions. I find that students and young adults enjoy the flexibility of online therapy most. There is a lot of research out there that shows online therapy sessions are just as beneficial as in-person sessions are. And they can be done in the comfort of your own home! I am much more flexible in my online therapy hours as well. You are welcome to have a combination of in-person sessions and online therapy. You can have a therapy session during your lunch break, in between studying at the library, or while you are on a work trip. The flexibility is endless! Please note: I can only provide online therapy to New Jersey and New York residents as those are the states in which I am licensed. Who do you specialize in helping? What issues do you specialize in? Okay, I think I'm interested... now what? The first step is to fill out the form below to set up a free 15-minute consultation call. This will give me a chance to get to know you and I can explain to you further how I can help you or your child. If we are a good fit then we will schedule an initial appointment. 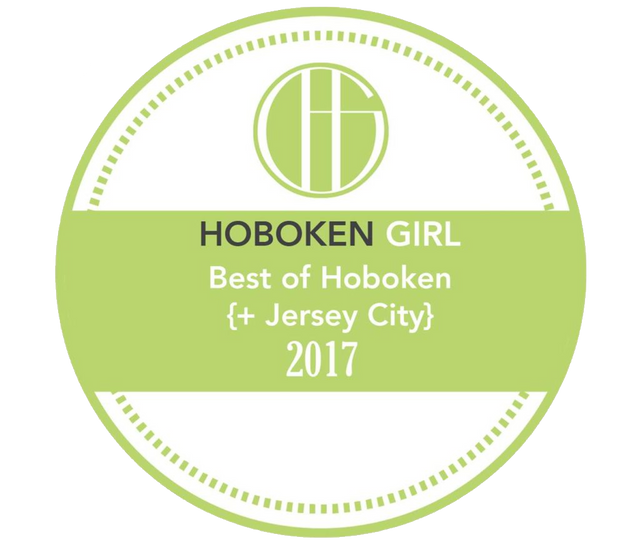 I provide in-person therapy sessions in Hoboken, NJ as well as online counseling sessions for anyone living in New York or New Jersey. If you are thinking of booking an afternoon/nighttime therapy appointment: these are my most popular time slots so make sure to book before they are all full. Once we meet, you will see that therapy isn’t so scary and that it really is just a place for you to feel calm and comfortable to speak your mind. If the therapy is for your child, your child will feel safe to express themselves through play and art. Thank you! We will get back to you within 24 business hours. Find out about Anchor Therapy's founder and psychotherapist Courtney Glashow, LCSW. Read more about the services provided to help you start feeling better today.